This week saw the release of WordPress 5.0 Beta with Gutenberg as standard. And what a week to drop the beta with Red Dead Redemption 2 being released today! All other major games developers have clearly avoided any releases this week due to this massive long-awaited title hitting the shelves. If you haven’t heard of this new game from Rockstar, come out from the rock you’ve been hiding under and check out the hype! It’s slated as being the “game of a generation” and has received top ratings from all of the big games reviewers. I for one am excited to don-poncho and hunker down this weekend with my copy. Last week I told you about Gutenberg – what it is and how it is likely going to reshape the landscape of WordPress as we know it in terms of native content editing. 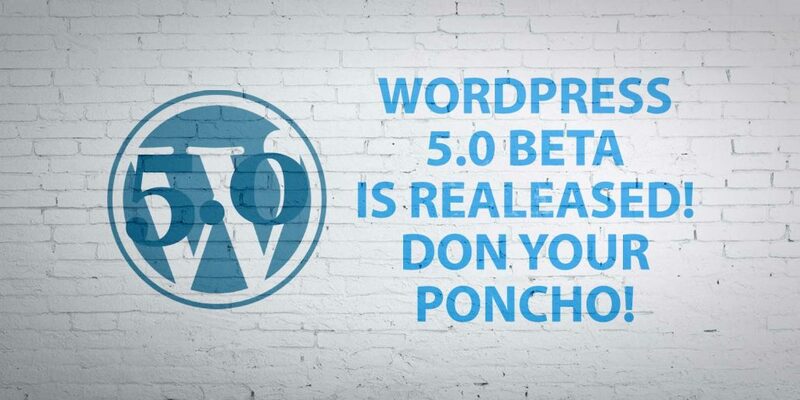 Ahead of its official launch on November 19th, you can now check out a beta version of WordPress 5.0. To be honest, there’s nothing much new about the dashboard that I can see. Since I’ve already had a play about with Gutenberg and given you guys a tour, I’m not going to go through that again. But definitely check it out if you haven’t already. But I wouldn’t recommend you update a production site with this beta version! WordPress has released a new theme with WordPress 5.0 – Twenty Nineteen. This theme is all set to go on Gutenberg and takes advantage of the new features the block editor provides. What!?? That’s one of my faves!! Ok seriously… If you’re not going to be ready for Gutenberg when it gets rolled out next month, definitely take the time to prepare to rollback to the classic editor. Your developer will need to test your theme and plugins to ensure compatibility with WordPress 5.0. If you’re on a hosting plan that provides plugin and theme updates that include version compatibility testing and fixing, you don’t need to worry! There are a couple of ways that you can revert back to the classic editor if you’re not ready for Gutenberg. 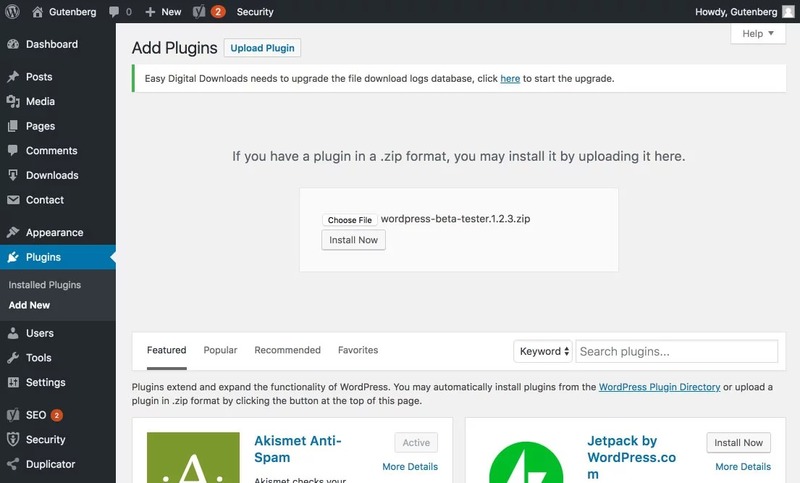 This will allow you to keep on using WordPress as you have been, or just carry on using your chosen editor plugin. Keep in mind – reverting to the classic editor is not a long-term solution. There’s no way of telling how long this will be an option for as WordPress pushes for 100% conversion to Gutenberg.